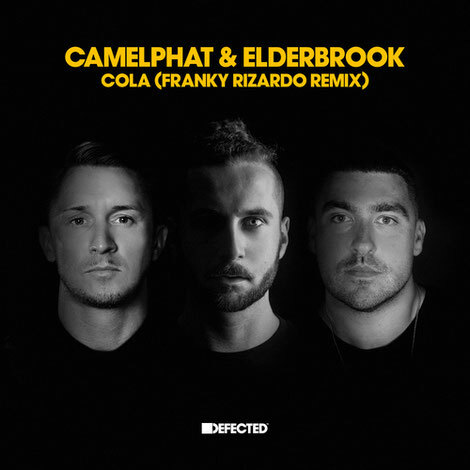 Probably one of the most addictive records of summer 2017, CamelPhat & Elderbrook’s ‘Cola’ may have become a defining musical moment of the year. The track had barely touched the ground when tastemakers’ ears were pricking up across the board and it was quickly snapped up by Danny Howard as his Hottest Record on Radio 1 and is currently on rotation by the likes of MK, Solomun, Kenny Dope, Claptone, Roger Sanchez and many more. Stepping up with a suitably heavyweight remix, Franky Rizardo comes correct with a club-friendly update that elevates the vocal hook and bottoms out the breakdown. As the track looks likely to become a crossover hit, Franky’s mix should ensure this becomes a must-have for club DJs across the network for the rest of 2017 and beyond. It’s out 8 September, check out the original below.